Leeds United fans will be pinching themselves today, with their side in an automatic promotion spot, in control of their own destiny and three points clear of their nearest rival, with only four matches of this season remaining. With this success comes it own problems with larger clubs looking at Leeds with a view to making a move for their prized assets, with defensive midfielder Kalvin Phillips a target for Southampton, according to the print edition of the Sun on Sunday (April 14, Page 61). According the aforementioned report, Leeds want around £20 million for the 23-year-old, so if the Saints come in with an offer in that region, should Leeds be prepared to sell? “It’s tempting, but Orta and Radz must say no. “Phillips is so incredibly important to Leeds United and there would be a mammoth hole to fill if he did depart Elland Road. 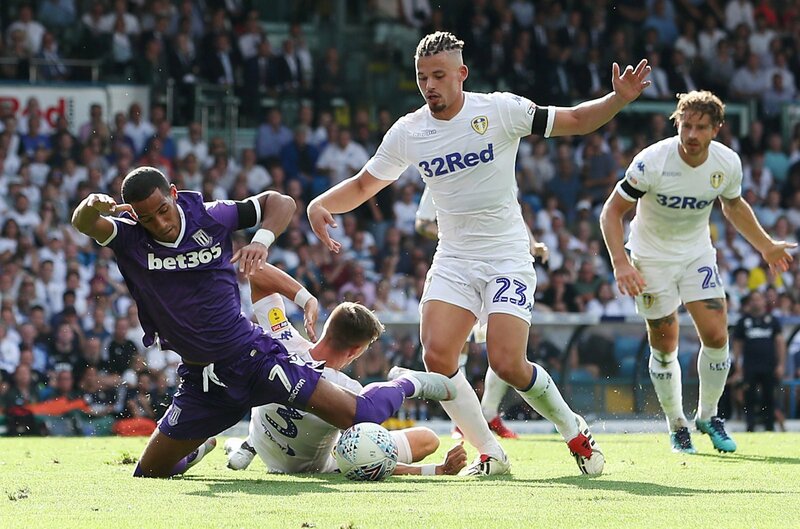 “He is a proper Leeds fans favourite and has been a key cog in Marcelo Bielsa’s side’s push for the automatic promotion spots, and at his age, he’s only set to get better. “Normally, I’d be telling Leeds to snap their hands off at this kind of money. “But, in this case, I don’t think Leeds should get rid – Phillips is arguably their most important player, and has really come into his own under Bielsa. “It’s surely going to be tempting. “There’s no doubting that Phillips is a crucial player to the way Leeds play, but this sort of money could be reinvested in the team.